Six African-Americans Honored To Commemorate The Pan-African Victories of Adwa and Miazia 27 In D.C.
Adwa, Wakanda and the African Diaspora: Celebrating the Centuries old Struggles and Triumphs of The African World. 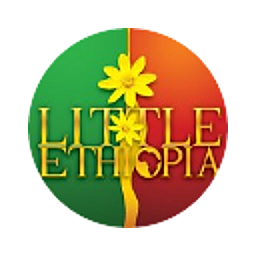 Little Ethiopia Celebrates Black History Month ( Its 13th Anniversary ) on February 19, 2017 in D.C. Reminder ; The Chef Couple Of Uni Bistro Says " We Are Ready To Welcome You And Mulugeta In Our Restaurant this Evening "
Merry Christmas! Wishing You All the Best! The First Ethiopian 'Screen Actors Guild' Film "Woven" Makes A Name For Itself As It Takes The Festival Circuit By Storm!! Meet The Lady Behind The Film. Salome Mulugeta! Taste of Ethiopia : The 13Th Anniversary of The Pan-African Holiday Celebration of Kwanzaa and Genna Launches on December 26th. Bowie State University Hosts the Miss Africa USA 12th Annual Ceremony in Collaboration With the African Students Association. Martin Luther King III shared his thoughts on Gregory by saying, “ "He's been a friend to a lot of us. But he was a mentor to me; like a father figure,"
Ethiopian Born Swedish Author Jenny Rogne Launches a Book in Washington D.C.
Washington DC Mayor Proclaimed September 2017 As " African Heritage Month "
Reminder : The Signing of the Newly Released Memoirs of A former Minister D'Etat of Haile Selassie's Government to Be Held in Washington D.C.